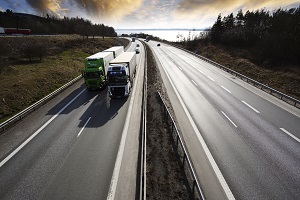 Could Side Guards Reduce Deaths in Truck Accidents? An idea about a safety feature added to large trucks has the potential to significantly reduce the number of fatalities from accidents involving big rigs. We’ll talk about it in this issue. What’s the proposed safety feature? In early May, the Insurance Institute for Highway Safety released test results showing that strong side guards on semi trailers could prevent deaths in so-called “under-ride” crashes. These incidents occur when the car’s hood slides under the trailer, which then leads to occupants actually hitting the trailer. Perhaps the most infamous under-ride crash was the one involving Tesla driver Joshua Brown, who was traveling at about 65 miles per hour when his car slammed into a big rig. The Institute previously carried out a study showing that the side guards could reduce the risk of injury by almost 90% of side crashes. Do large trucks not already have guards? Many trucks do have under-ride guards on the backs of trailers. The metal bars, though, simply aren’t strong enough to offer the protection that occupants in other cars need. It’s up to lawmakers in Washington – specifically the National Highway Traffic Safety Administration – to require trucks to be equipped with the under ride guards. If you’re involved in an accident with a large truck, don’t take your chances in dealing with their insurance providers on your own. Their main goal is to pay you as little as possible. Instead, call the experts here at Barber & Associates. The first consultation is always free, and you can reach us at 907-276-5858 or through email.